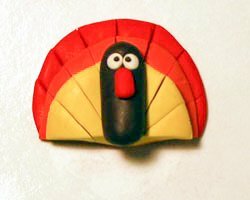 This polymer clay turkey can be turned into a Thanksgiving day pin, earrings, a magnet, place card holder, napkin rings... just use your imagination! 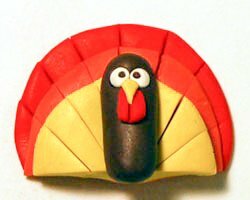 To make earrings, just scale down the turkey to a smaller size. This cute turkey craft is made using polymer clay. 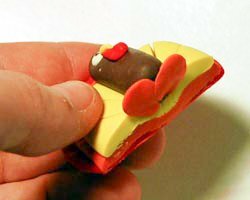 Polymer clay is very easy to use, and it bakes hard in the oven. 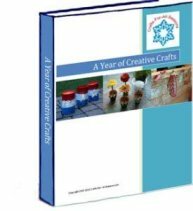 If you have never used polymer clay before, be sure to read my polymer clay article first to get some helpful hints and pointers. 1. 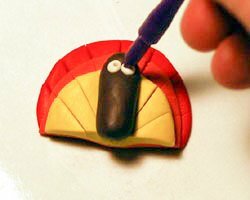 Begin the polymer clay turkey by pressing the ball of red clay flat to form a circle. Make the size of the circle the size you want the turkey to be. 2. 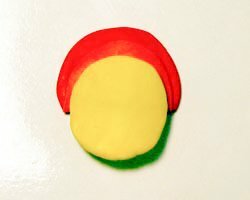 Using a blade or cutting tool, but the bottom 1/3 of the circle away. 3. Next, flatten the orange ball of clay into a circle. Make the circle slightly smaller than the red circle, and place it over the red circle slightly under the red edge, as shown. 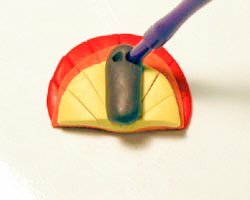 Cut away the bottom of the orange clay to be flush with the red edge. 4. Do the same thing with the yellow ball of clay. This the tail feathers of the turkey. 5. Make cuts in the tail with a blade or cutting tool, for more detail and definition. 6. Create a depression in the tail for the turkey body. 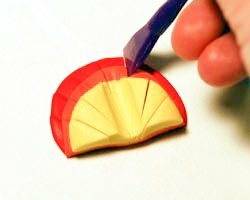 I did this by pressing by polymer clay tool into the clay (you can use a pencil to do this as well). 7. 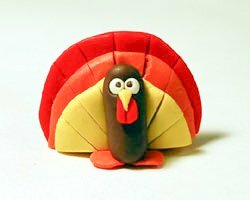 Create the turkey body out of the brown clay. Roll it into a rounded off cylinder, and push it into the depression. 8. 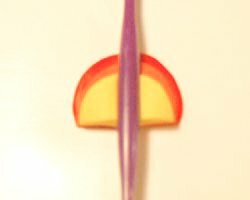 Create two large holes for the eyes, using the tip of a pencil or a polymer clay piercing tool. 9. 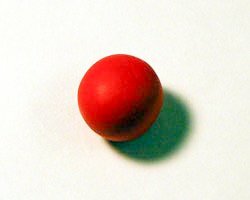 Make two small balls out of white clay, and then push them in the eye holes. 10. You can then make two additional holes in the white eyes for the black pupils, or you can draw a black dot on them with a marker after the clay has baked and cools. 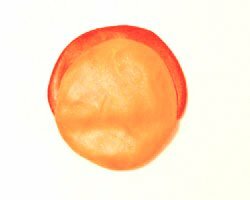 If you make them out of clay, just roll two teeny tiny balls of black clay and place them into the tiny holes you made in the white eyes. 11. 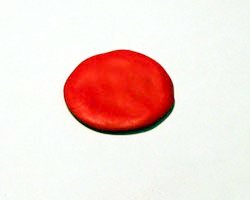 Make a little gizzard out of a bit of red clay, and place them below the eyes. 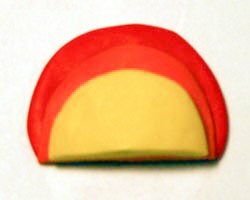 Then make a little yellow beak like a triangle and place it under the eyes but over the gizzard. 12. 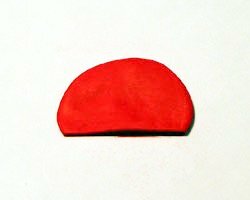 For the feet, you can make two flat circles out of orange clay and push them on the bottom. 13. Bake the clay piece in the oven according to the manufacturer’s instructions. 14. 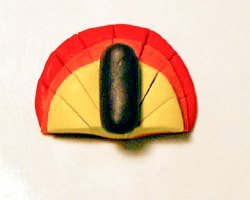 Apply a polymer clay sealing coat if desired, after the piece has cooled.